I love to watch people. Not in a crazy serial killer way, but people in general just interest me. I like to watch how they behave, how they react to situations, see what kinds of personalities they have. I was in my neighborhood bar the other night and I was watching some of the customers. I was watching some of the guys and girls flirt with each other. Something that always intrigues me is seeing who’s interested in who. Not because I’m nosy, but because I think people have definite “types”. I used to think that I didn’t have a type, and maybe I didn’t for awhile, but I definitely do now. I also used to think that types were more about looks, like the old cliche’ “tall, dark, and handsome”. And maybe it does a little bit. I went through my tall, slender, and younger stage. For awhile there, I don’t think I dated or was really interested in someone unless they were five or six years younger than me. Maybe because we shared the same goal. They were trying to find themselves and so was I.
I don’t think it’s about looks, I think it’s being attracted to someone who’s like you in some way. And as I think about my friends and their relationships, there’s a certain “sameness” that each couple has. It may be similar educational backgrounds, or similar levels of ambition or goals. I’ve been interested in guys before, and have wondered why they weren’t interested in me. Not to toot my own horn or anything, but I’m intelligent, kinda funny, and not too bad to look at. But as I’ve gotten to know some of these guys, and have met the women they date, I realized that I’m simply not their type. What is my type now? Looking at the three that have been in my funnel for awhile, they are all older, have their lives together, know who they are and want they want. Two of them own their own businesses. And (drum roll please……) all three seem to be emotionally available! You can hold your applause until the end of the blog…. Here’s to finding our own types! By the way, I’d like to say a special thank you to Sara for giving me my first ever blog award and my first blog link! 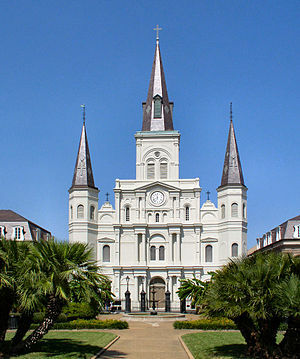 For those of you who are fans of New Orleans, check out her blog! Is it just me or have we all gone through a relationship like this? The relationship that the less the other gives the more needy we get and the more unbalanced the relationship gets? I remember a few years ago, a good friend of mine was going through the same thing and I just couldn’t understand why she would keep beating her head against the wall. Why could she not simply walk away? It just didn’t make any sense to me. Then, it was my turn. And it still didn’t make any sense, but I couldn’t walk away either. It took the breath right out of me. I was the one beating my head against the wall. And the more I did, the more of a love/hate relationship it became, the more I just wanted it to go away, to be over. But, for some reason, I couldn’t walk away. I finally walked away from it. I finally deleted that number. I finally stopped responding to his calls. I’ve walked away a little jaded and a lot less naive. And it’s not something I’m ever going to do again. I know now that the “butterflies” aren’t always a good thing. Butterflies don’t always mean a person is good for you. And there’s a difference between happy butterflies and nervous nausea. Life isn’t a movie. Just because you’re attracted to someone it doesn’t mean you are going to automatically fall in love and live happily ever after. See what I mean about less naive? Speaking of the funnel. There’s still some good prospects. The two that were in there previously are still floating around, and two more have been added. All available, all dependable, and all dateable according to what I’m looking for in a man. It’s all about quality, not quantity this time. For now, I’m off to get ready for work! With the return of the funnel, it was only a matter of time before the dating idiot stories returned too. My latest dating idiot moment? I was in my neigborhood hang-out Friday night talking to one of my guy friends, and we’re talking about the wedding we were all going to Saturday night. Weddings aren’t my thing. They’re too formal, I always make some kind of social faux pas, and I’m generally miserable the entire time. So, I decide to cheer myself up about it, and look on the bright side. “This does give me an excuse to go shopping, you know.” I tell him. Then my eyes light up as I realize this will mean SHOE SHOPPING as well. Excuse me for a moment while I make the Homer Simpson noise. Definitely cheered, I perk up a little. My friend asks me what I plan on buying, more or less humoring me I’m sure. Now, is that not a hit itself? A guy telling you he’s going to hit on you is probably a clear indication of interest. Do I pick up on that? What did I do? What do you think? I went shopping yesterday and bought a skirt and a pair of heels. And I called his bluff. Did he hit on me? Later, after the wedding, (which was one of the most enjoyable weddings I’ve been to), we were all back at the bar and I’m sitting with my friend. I reach out and punch his arm. “You were supposed to hit on me!” I tell him. “I did!” he tells me. Apparently, I’m still a dating idiot. How does one know when a guy is hitting on you vs. just making conversation? Maybe this is just one disadvantage of having so many guy friends. I talk to guys all the time. It’s normal. I don’t assume they’re showing some kind of interest. I think if a guy asks for your phone number, that’s a definite sign. Or if he asks you out, that’s a definite sign. Speaking of which, I need to wear more skirts. Both of those things happened for me last night. One guy asked for my phone number, and one asked me to do something today. That was three definite hits last night. Only one goes in the funnel though. Speaking of the funnel, it is definitely filling up. All the numbers I deleted have now been replaced with new numbers. All S.T.A.R.’s (Someone Trustworthy, Available, and Real–from Date Smart!). Only one has resurfaced. He’s still not allowed back in the funnel. He’s not available. Let’s see what happens when I finally subcribe to those dating sites. Well, my friends, I have dusted off the ol’ funnel. My first order of business for the funnel? That’s right, a major cleansing. I’ve spent the last two days deleting numbers, deleting old text messages so I’m not tempted to add them back, and sending numerous text messages so that certain names do not appear in my “recently used” category. Any guy who I chased (and didn’t chase me back), who was emotionally unavailable, or was just unsuitable for dating in general is being purged from my phone. I want a sparkling clean funnel with no lingering emotionally unavailable cooties. And that being said, I have some new rules for me. 1. I will not ask any guy out that I’m interested in, period. If he wants to take me out, he will have the you-know-what’s to ask. That doesn’t mean I won’t give a hint or two, but I will not ask. 2. I will not make excuses for bad behavior, i.e. saying he’ll call and not. If he can’t keep a simple promise like that, he’s not funnel-worthy, or even Soonergirl-worthy for that matter. Interested guys WANT to talk to you. Bad behavior will result in immediate drainage from the funnel. Here’s to a brand spanking new funnel! It’s time to reinstate “The Funnel”. After a two-year hiatus. It’s time to dust it off, patch it up, and try to mold it back into some kind of funnel-like shape. At the end of my man-hunt two years ago, I think I kicked it, threw it, and stomped on it a few times. Introduced to me by one of my very good friends, the funnel is a potential mate filtering device. When you are dating, you take all the guys you meet and put them in the funnel. Slowly, as you get to know them, you filter them out, leaving the good matches in. Your ultimate goal is to have one good match left in the end, after you’ve sorted the rest out. My funnel experience didn’t work out too well the first time. I did get a good book out of it, one that will be published some day. And I learned alot of lessons in the process. Last time, I’d meet a guy and throw him in the funnel. It didn’t matter if he didn’t really want to be in there, and that he would try continuously to crawl out. If he was male, was breathing, and attractive, he was in my funnel. This time, there will be rules and a selection process. Too much thought? I don’t think so. I think there needs to be more forethought before throwing guys willy-nilly in the funnel. No previous funnel inhabitants will be allowed back in the funnel. This will only be a problem for one funnel guy, but I think I can work on that. No guy will be permitted back in the funnel after being sifted out. Major problem in first funnel experience. I allowed too many second and third chances. No guys from D.J.’s, my neighborhood hang-out, will be allowed in the funnel. My Prince Charming is not in D.J.’s. If he was, I would’ve found him by now. Only serious candidates will be thrown into the funnel. It’s not a gumbo. You can’t just throw all these people in the pot and expect something good to come of it. Only quality ingredients will be allowed. Those are easy for me to remember anyway. So, are there any funnel guys yet? Am I going to write about it like I did “All I Want”? What’s wrong with writing a sequel? I’m sure my experiences will be just as entertaining as the first time around. For now, I’m off to fill my funnel! Prepare yourself my friends for a truly philosophical blog……..I know, I know…crazy, huh? For the last few days I’ve had something on my mind. I’ve pondered it, pushed it away, came back to it, pondered some more, and still this issue remains. I was reminded again of this problem last night, when I heard this song. I guess I was in a mellow mood because I had some Sarah playing while I played around on some blog sites. I have heard “Answer” many times. I LOVE Sarah McLachlan. Her lyrics are beautiful and expressive, and her voice is like butterscotch. Her music is relaxing and calm. Last night, while I was listening, I heard the lyrics and again. I was reminded AGAIN of the issue that’s been plaguing my mind like these damn mosquitoes we have here. It just won’t go away, no matter how much I swat at it, and leaves a bite that keeps itching. I realized the problem is that on this particular issue, I’ve never chosen to fight. I’ve always given up or given in, even when giving up wasn’t what I wanted to do. I do this every time this situation arises and every time I get the same result. Wasn’t it Einstein that said, “Insanity is doing the same thing over and over and over again and expecting different results”? Am I insane? Don’t bring the straight-jacket after me just yet though. Admitting you have a problem is the first step to sanity. I’m definitely on the losing side of this particular war, if a love life can be considered a war. 🙂 So losing the battles isn’t doing me any good. So when does someone know when to retreat, when to surrender, or when to dig in and fight? And should I finally dig in and fight? I don’t know yet. Part of me wants to go back and fight, and part of me wants to retreat. I’m tired of fighting the same battle over and over again. But, if fighting the battle means that I win the war and get the guy that I want, won’t it be worth it? Good questions. Something I’ll definitely have to ponder some more.